The following is list of the solar eclipses that I have attempted. The formal Ring of Fire Expeditions number is listed in the column to the right. At the urging of colleagues I am now including partial eclipses. Many annular and total eclipses were observed from the edge where Baily’s Beads science was attempted. The ‘eclipse type’ below is the type of eclipse seen where I ended up for the observation. 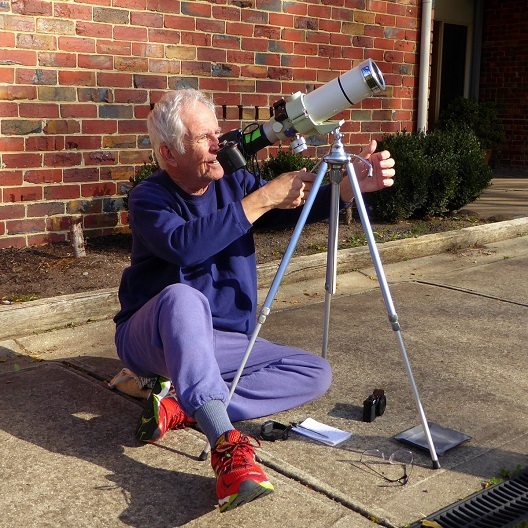 For example, if the eclipse was supposed to be total and I was not able to get to the zone of totality, I attempted observation as close as I could get to the location of totality. In that case I would list it as partial. Reaching the zone of totality or annularity was especially difficult in my early years where I was not able to afford travel and even during my working years. “Location Observed” is the name of the closest town that I was able to get to at the time. The NASA Johnson Space Center Astronomical Society eclipse team is represented by the Texas flag. If you see this flag at an eclipse, it is probably RING OF FIRE EXPEDITIONS. Many people travel to observe total solar eclipses, I, on the other hand will go to almost any solar eclipse. 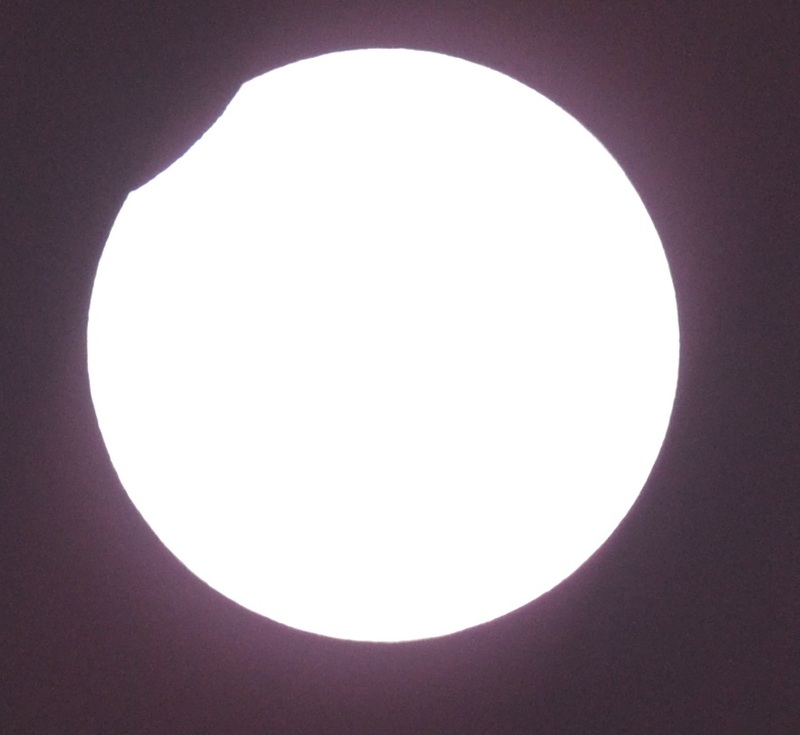 Here is the first of 4 consecutive partial solar eclipses. 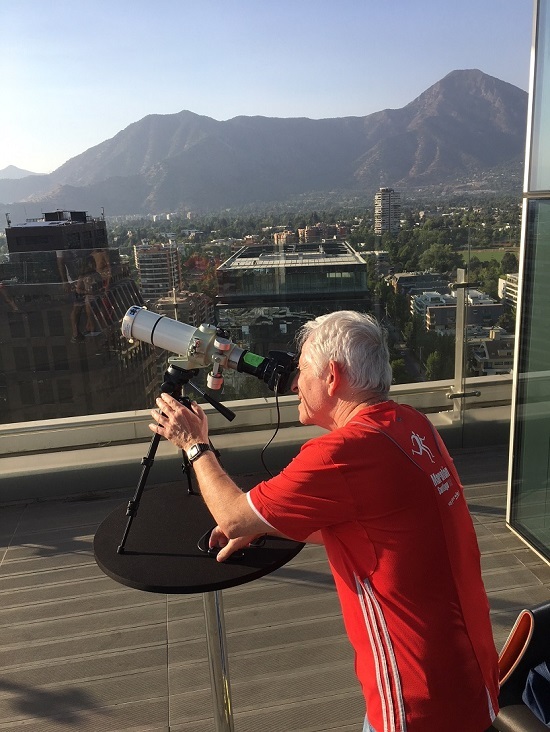 The first one on February 15, 2018 was to the top of the Courtyard by Marriott Hotel in Santiago, Chile. Below is a result of the partial eclipse on July 13, 2018 when I traveled to Melbourne, Australia just to photograph a mere 2.3% of the Sun being covered by the Moon. 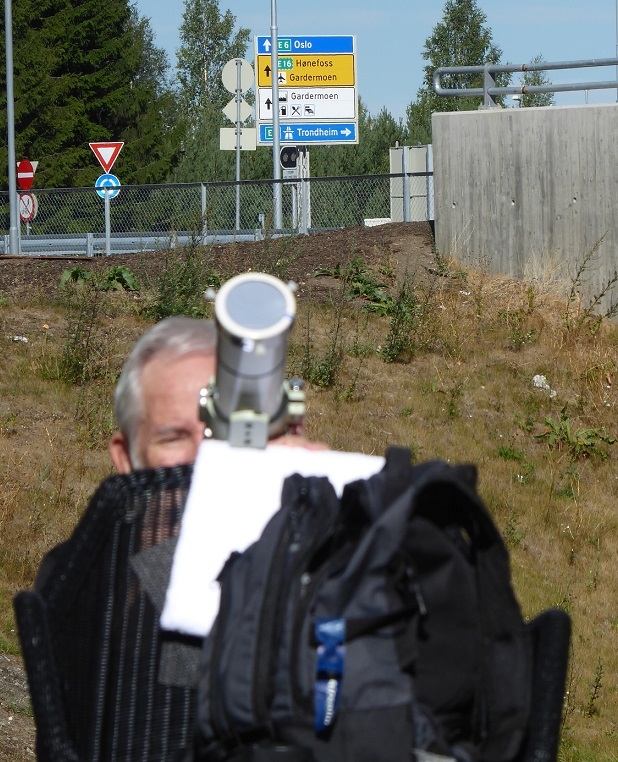 We met up with fellow eclipse chasers Paul Stewart and Ann Bullen and observed from town after moving around to avoid potential big cloud banks. It did cloud over after the end of the eclipse! 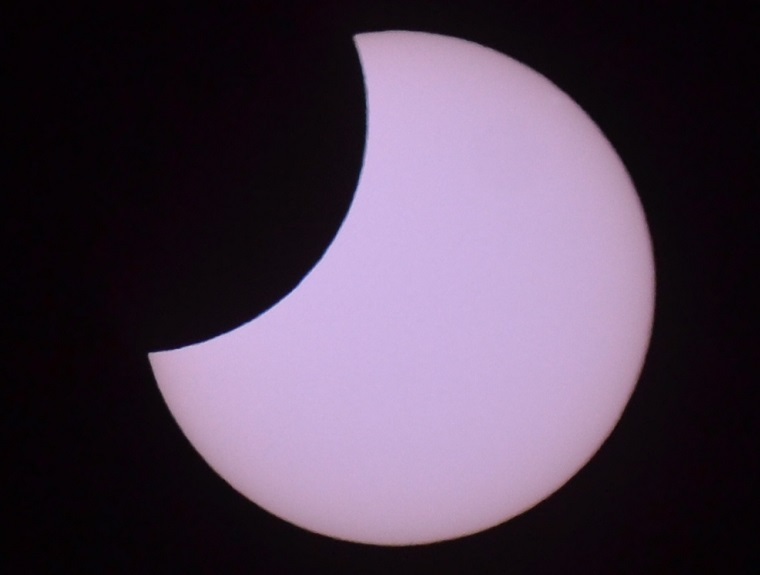 A third example was on August 11, 2018 in Jessheim, Norway with another partial eclipse that covered about 5% of the Sun at maximum. Here we got very lucky again. 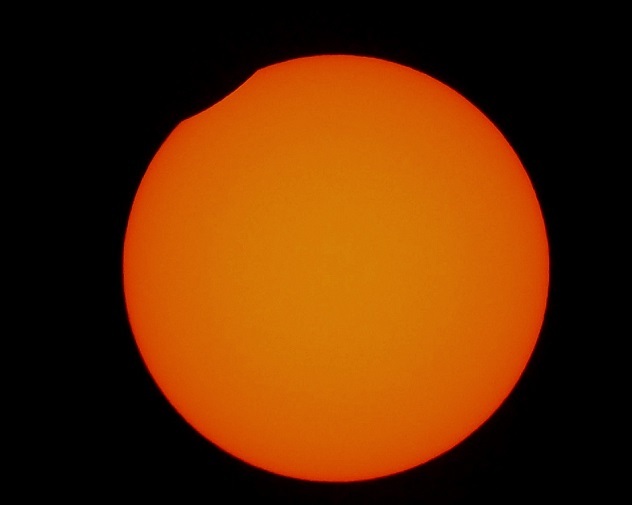 Forecasts were terrible and there were a few high clouds at the start of the eclipse but they cleared off for the remainder only to return after the Sun had regained it full brilliance. Following that, the Sun was not clearly visible for the rest of the day. 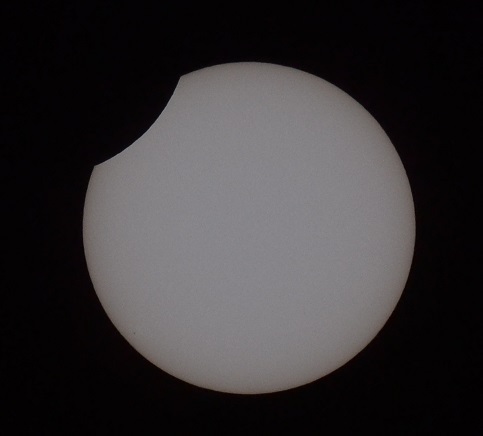 My 4th partial solar eclipse in a row was observed on January 6, 2019 from Seoul, South Korea from Yong-ma-ru Park 6 miles from Incheon Airport. 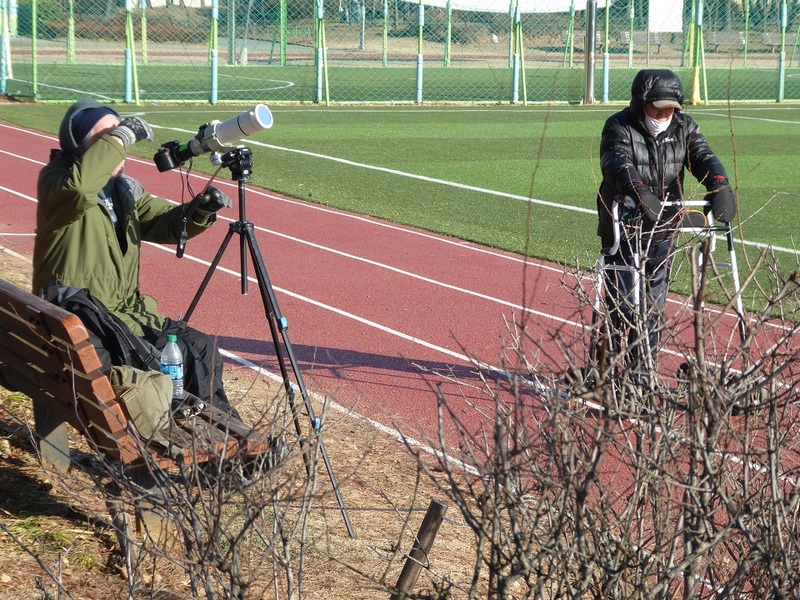 In all cases an 80mm Takahashi scope was used for photography. In the image below, ISO400 at 1/2000 sec. To illustrate how innocuous this eclipse was, a couple of runners and one person pushing a walker were the only ones out and none of them noticed the eclipse. One person did stop and stare at us foreigners and Lynn let him look through a welder’s glass at the Sun. He did not appear impressed but continued to stare at us. We never saw any other foreigners in the area during our 36 hours in Seoul. Photos of me were taken by Lynn Palmer.